we went there for our early christmas dinner, this is my second time visiting this restaurant. The atmosphere of City Café was welcoming, a stylish, trendy modern take on the classic Hotel restaurant layout. I could quite easily see myself relaxing here with friends. 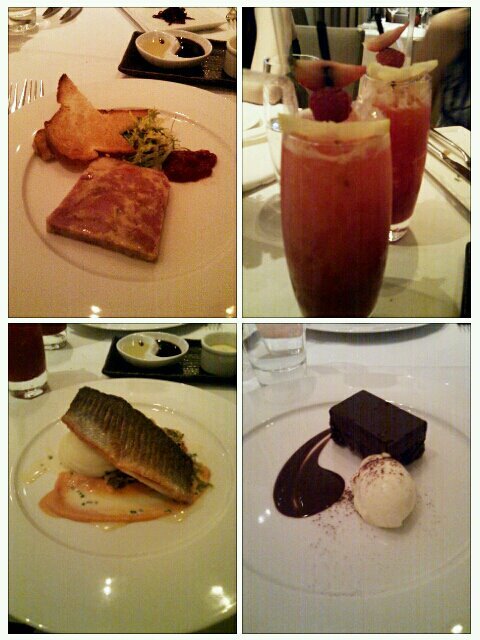 I had pressed chicken and ham terrine for starter, pan-fried sea bass for main and chocolate mousses for dessert. Food was good as always, the portion was a bit too little tho.